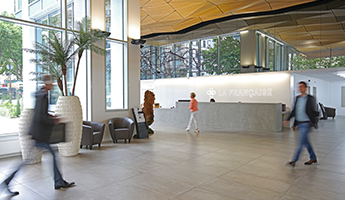 A wholly-owned subsidiary of the BNP Paribas group, BNP Paribas Personal Finance is France’s No. 1 provider of personal finance in Europe, through its consumer credit and mortgage lending programs. Present in 33 countries, BNP Paribas Personal Finance provides its partners with expertise in financial services and customer and consumer knowledge, to support their long-term financial growth. 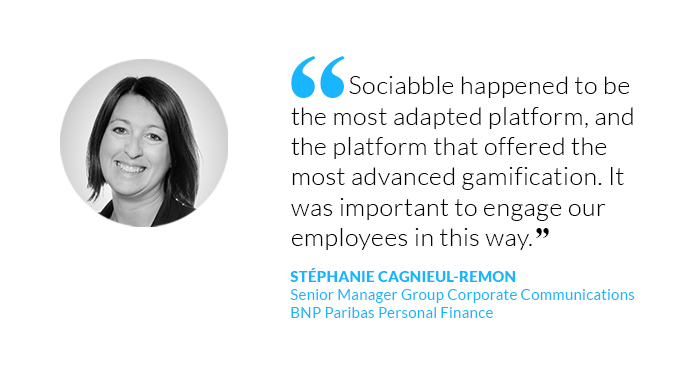 In this employee advocacy case study interview, Stéphanie Cagnieul-Remon, Senior Manager of Corporate Communications at BNP Paribas Personal Finance, explains how the company relied on Sociabble to engage all its employees in France, kicking things off with a launch strategy that was effective, unique, and actually fun. You can watch the interview above. Just push the cc button for English subtitles. Why did you start an ambassador program? What were the main factors? 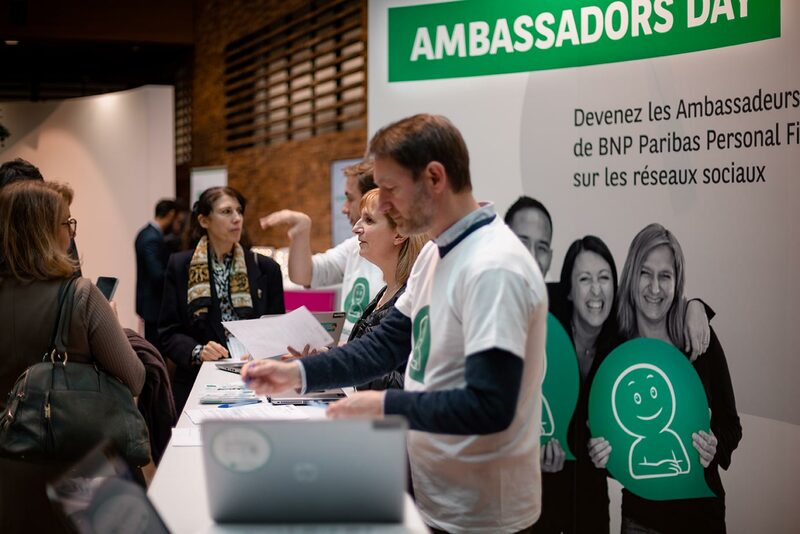 A year ago, at BNP Paribas Personal Finance, we interviewed our citizen employees. And we asked them if they were proud to be engaged for the company. The answer was a resounding yes. As 99% of them replied that they were extremely proud to engage. We then asked them if they were talking about this with their colleagues, friends, and family. Once again, the answer was yes. We also asked them if they were talking about it on social networks. But this time, the answer was no, at 98%. Most people said they were not sharing because they didn’t know how to do it, they were afraid to do something wrong, or they were scared not to share the right content. So we decided to help them. How did you involve the top management in the process? We didn’t give them a choice! On a more serious note, though, our presence on social networks at BNP Paribas Personal Finance is part of our strategic plan toward 2020. Our General Director, Laurent David, is extremely involved, and has been present on social media for a few years already, on LinkedIn as well as Twitter. So he’s very aware of the topic, and he is our first social media sponsor. 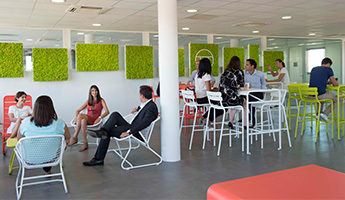 So what we aimed to do was to involve top management even before launching Sociabble and the employee advocacy program. 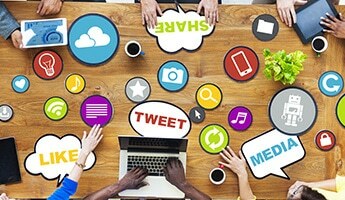 In order to do so, we decided to start with a spokesperson project on social networks. 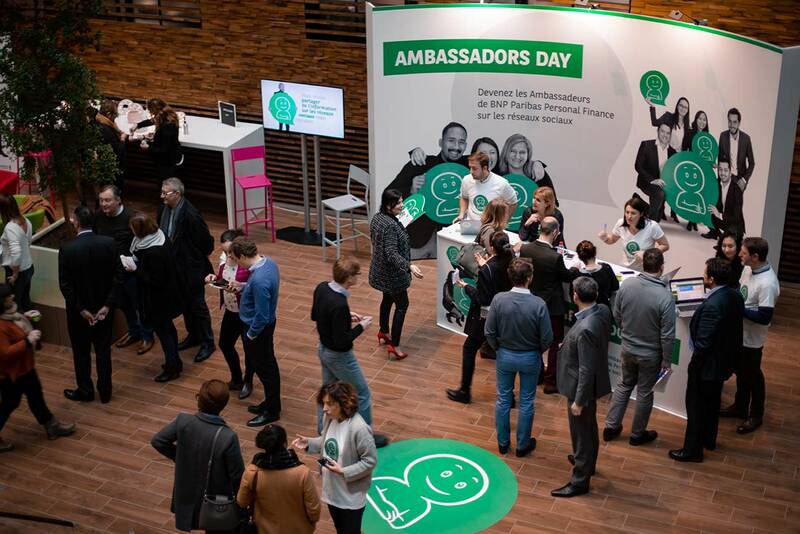 So we engaged a dozen senior managers of BNP Paribas Personal Finance on social networks, in order to lead by example for employees on those social networks, but also to encourage other top management to get involved. And what did you organize for the launch? Did you plan any special events or sessions? For the launch, we saw the big picture, and we organized a full day on the theme of employee advocacy. At breakfast, they had Sociabble workshops organized to present and introduce the platform. 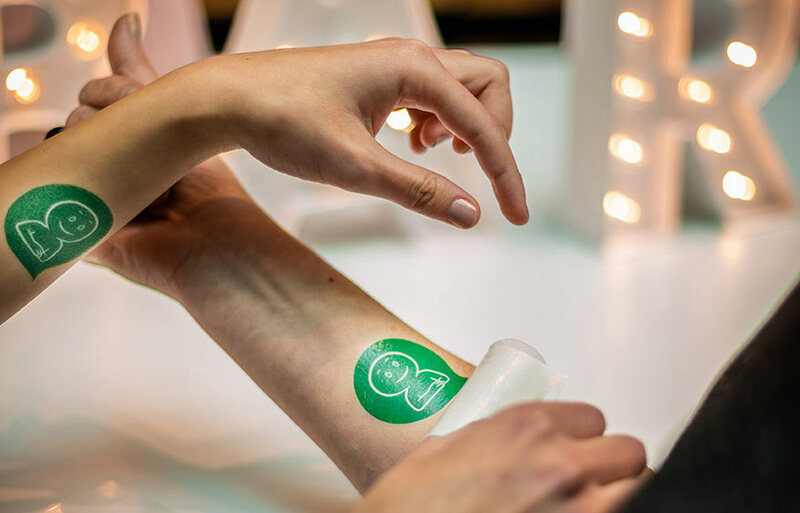 At lunch, we had “ambassador’s coffee” where employees could take pictures to share on social networks and make funny employee advocacy temporary tattoos. And they could also discover more about the Sociabble app. At night, we organized a conference about employee advocacy where we invited other companies like Renault, PwC, SNCF, Roche. It was a good opportunity to get testimonials from companies that had already launched a Sociabble platform. They explained how they launched the employee advocacy program, and how the employees benefitted from the program. It was very important for us to show our employees how they could benefit. What are the key points that made you choose Sociabble as your platform? Sociabble was a platform that had already been used by the BNP group for a few years. So we had enough background to know that it was a functional and well-designed platform that worked well for our needs. Nevertheless, we did a benchmark to compare the different platforms. And Sociabble happened to be the most adapted platform, and the platform that offered the most advanced gamification. It was important to engage our employees in this way. That’s the reason why we chose Sociabble. 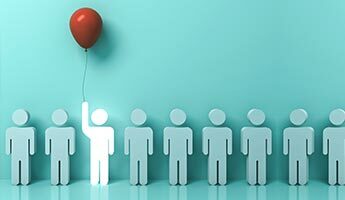 If you’d like to see more examples of an employee advocacy case study like this one, click here. 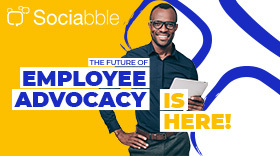 And to learn more about what Sociabble can do to help your company with its communication needs, click here.